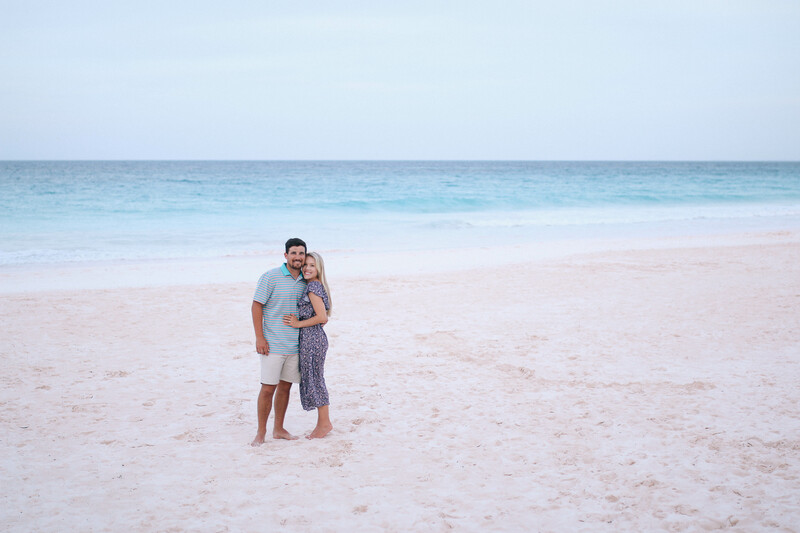 Being that we are only a three hour plane ride from Harbour Island, Bahamas, it’s hard to believe this was our first time here. Everything they say about the island is true. 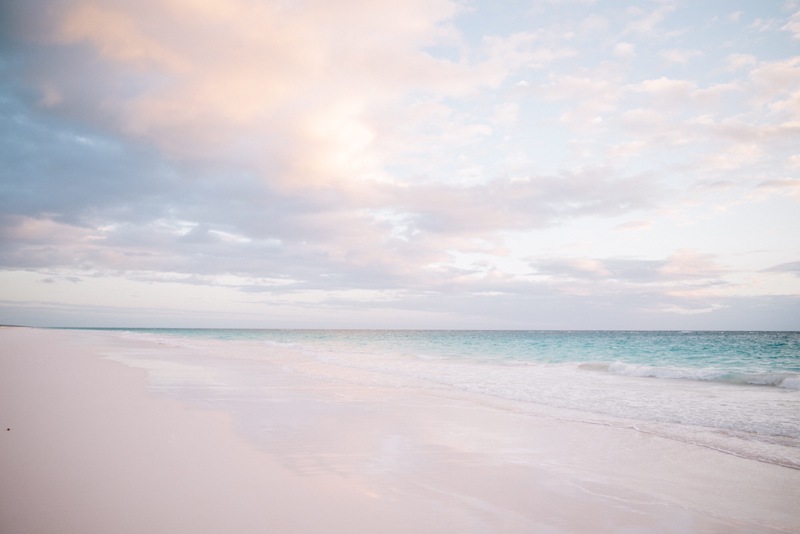 The water is turquoise blue, the sand pink and the sunsets are a wash of ombre pastels. In true Drake fashion, Justin and I did a bit of hotel hopping during our time on the island. After leaving Bahama House (you can read more, here), we made the short drive to the Dunmore, where we spent the last half of our trip. Conveniently, the two properties are less than a mile apart so it was as easy as packing our belongings in our golf cart and driving to the Dunmore (Side note: In case you missed Monday’s post, golf carts are crucial to navigating your way around the island and should be booked at the same time as hotel accommodations). We found the two properties to be vastly different. 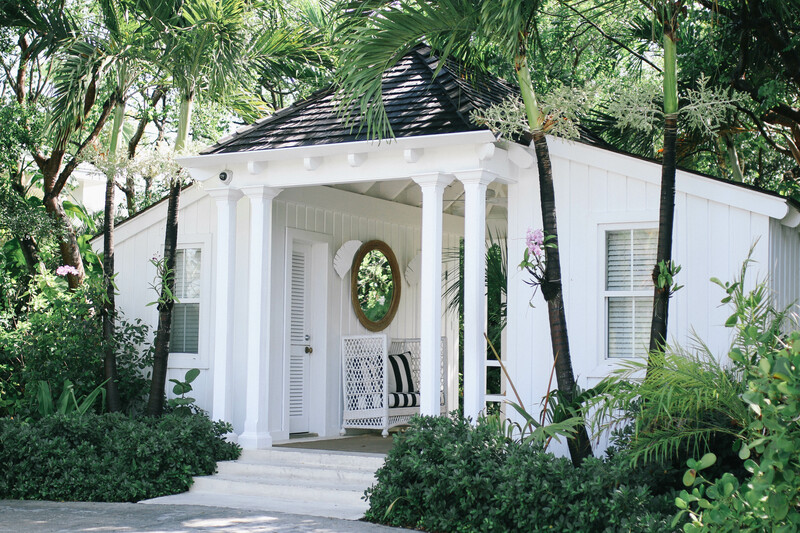 Unlike Bahama House, which is located in the heart of town just a block from the harbor, the Dunmore is on the furthermost part of the island offering more seclusion for those in need of a true escape. One of the first things that immediately drew us in were the lush garden grounds and romantic cottages, each complete with a small private patio. Upon arriving, we felt as though we had been transported to an entirely different place. The Dunmore, especially the pathway from the main entrance to the lobby, resembled that of a jungle and was lined in various tropical vegetation. The property is a stripe-lovers paradise. Truly! 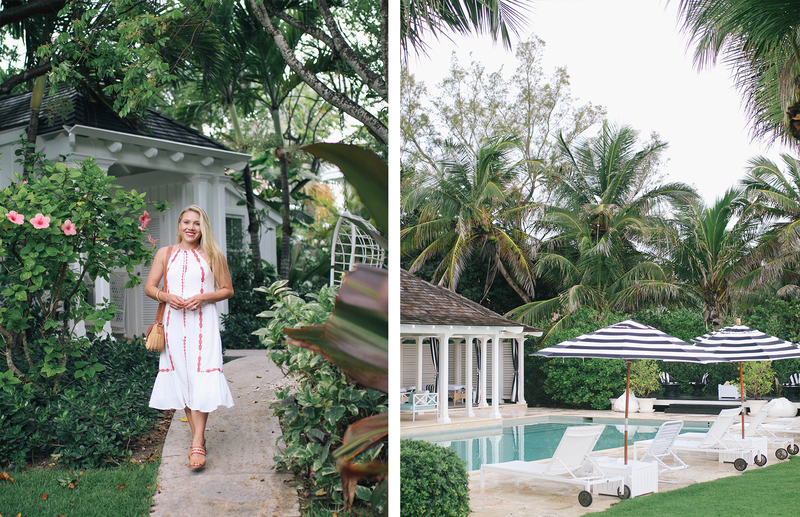 Designer and longtime Bahamian resident Amanda Lindroth outdid herself in updating the property. Speaking of which, did you know that the Dunmore was once a members only beach club? It opened to the public in 2010. 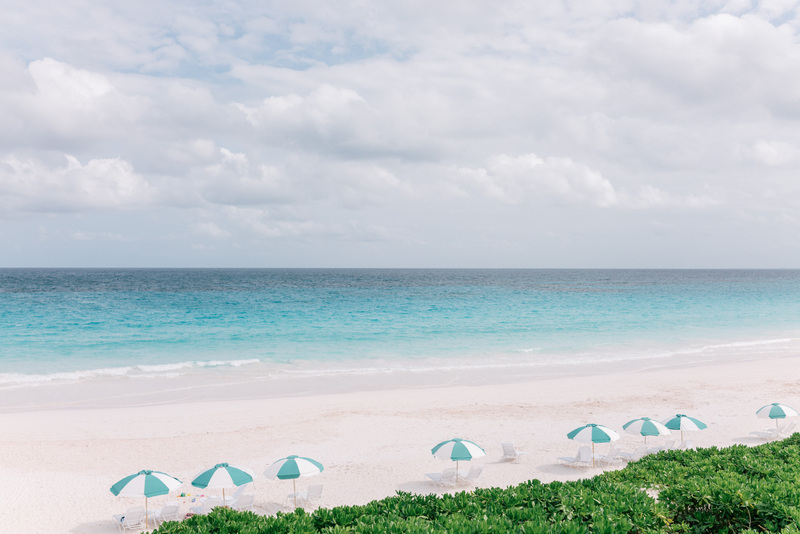 The property also offers direct access to pink sand beach and each day we would head down and relax by the water. 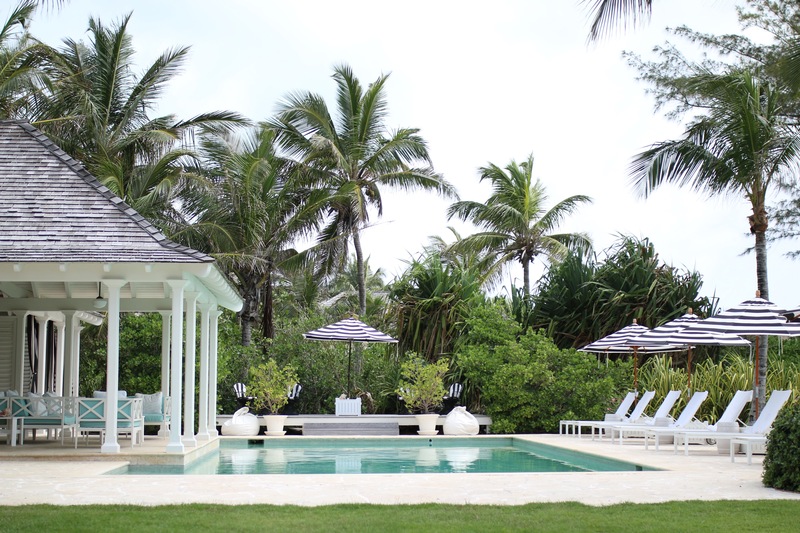 The sea-grass-green umbrellas are a signature staple of the property and were incredibly charming! 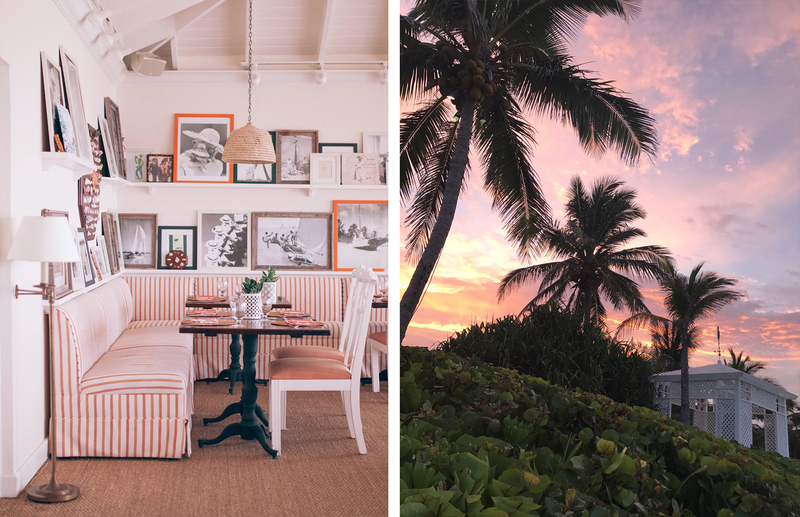 The restaurant, which is open to outside guests, is one of the islands most acclaimed – especially for lunch. 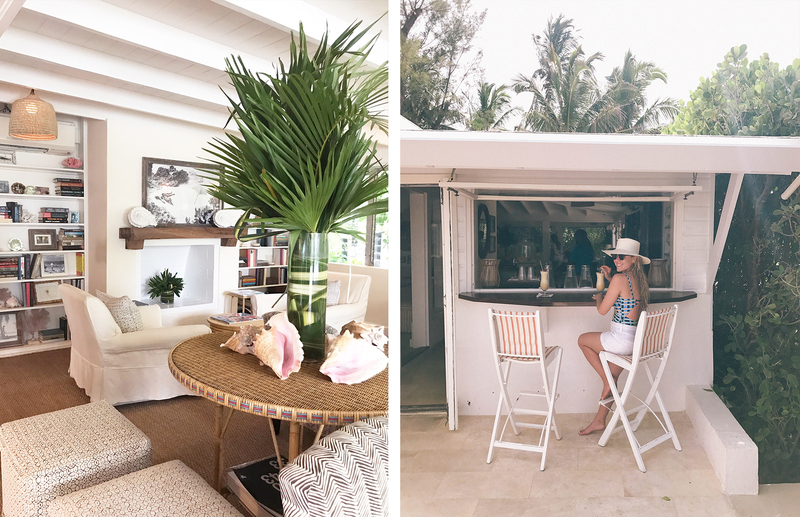 If you’re visiting Harbour Island and not staying at the Dunmore, make sure to stop by for a cocktail or dinner (I recommend you try the frosé, it’s delicious). Every evening the outdoor patio comes alive from the flickering of candles littering the tables to the bistro lights strung along the tents canopy. And, of course, the stripe seating adds to the experience. The weather throughout the week was overcast, but on our last evening on the island, Justin and I witnessed what we agreed was the most gorgeous sunset we’ve ever seen. 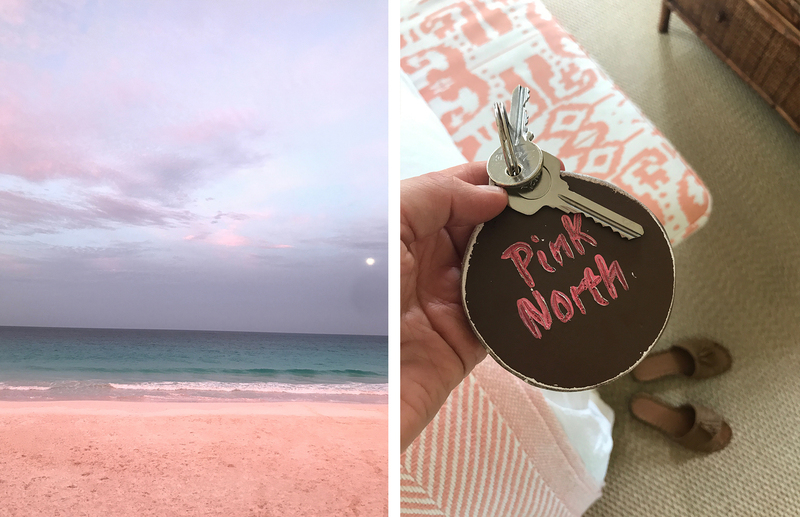 The pastel sky against the pink sand was unreal! It was the most romantic backdrop for a sunset dinner on the patio overlooking the beach. 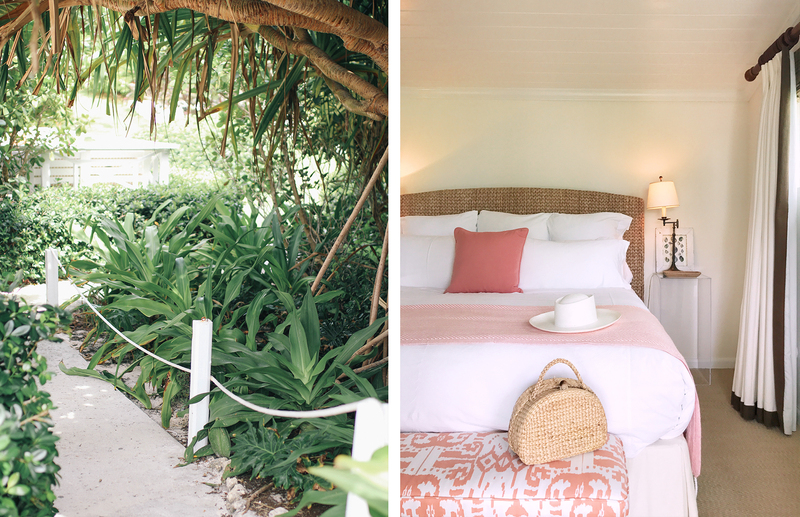 In Monday’s post I reviewed Bahama House, an Eleven Experience property where we spent the first half of our trip. I’ve linked that post for you, here. 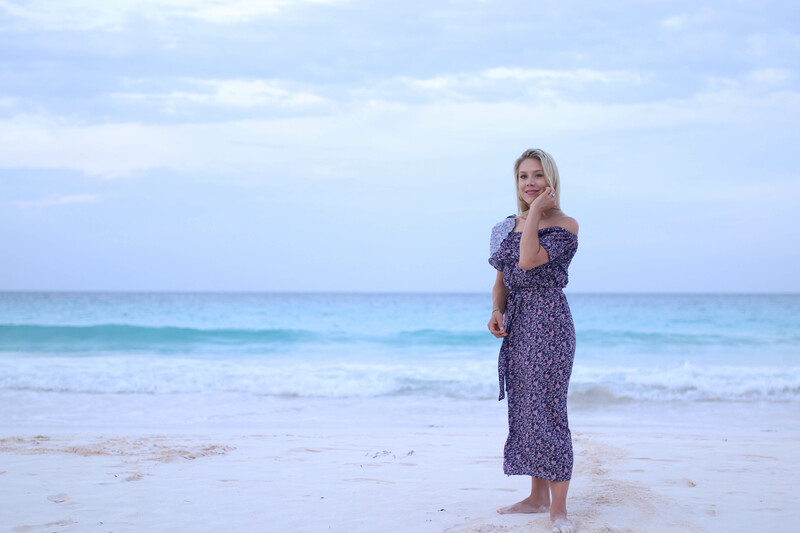 As promised, over the weekend I will be sharing a complete review of the island – where to shop, explore, stay, play and dine! 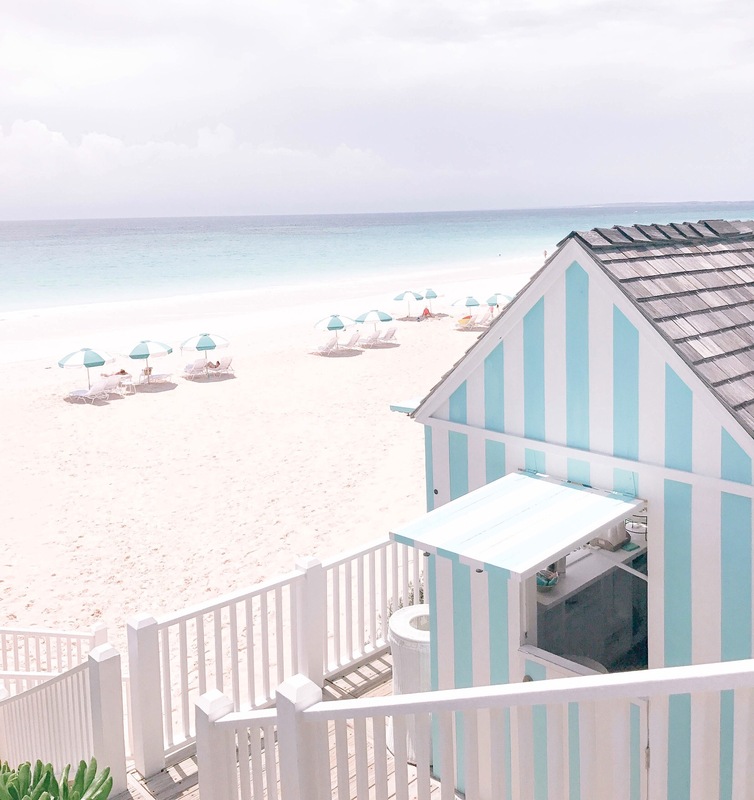 Like many tropical destinations, Harbour Island thrives on tourism and can be offensively overpriced (which becomes quickly apparent), so hopefully Friday’s post will help provide some great insight on how to plan a fun, yet affordable getaway.